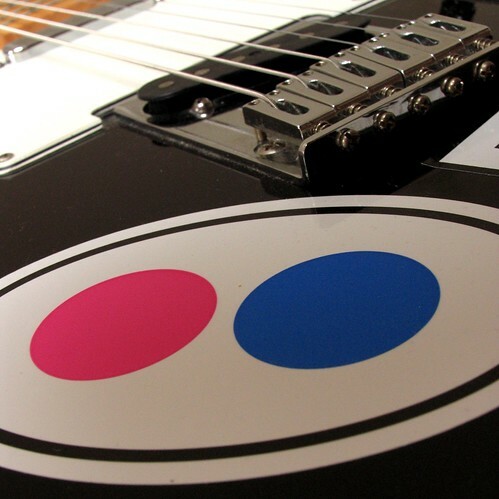 2.3 million photos with location data were uploaded to Flickr this month; 95,634,285 in total. That’s according to Brady Forrest’s post over at O’Reilly Radar on the appearance of Flickr photos on Google Street View. 2.3 million in one month! Kellan Elliott-McCrea on his response whenever he’s asked “How does Flickr do XYZ?“. We generally try do the dumbest thing that will work first. And that’s usually as far as we get. There’s an elegance to dumb solutions. Flickr have just announced a fantastic new project called The Commons. The idea behind which is to harness the collective power of the Flickr community by allowing us to tag reference collections of images from institutions around the world. The Commons kicks off with a pilot scheme involving the U.S. Library of Congress. From their photo catalogue of over a million photos the Library team has chosen around 1,500 photos each from two of their more popular collections, 1930s-40s in Color and News in the 1910s. As well as being a historical treasure trove for us to pour over, absorb and catalogue, these images are also under a “no known copyright restrictions” license. It doesn’t mean they’re Public Domain, but it should allow for all sorts of interesting re-use possibilities. It’s very addictive once you get involved and reminds me a lot of Galaxy Zoo in a way. There’s an aspect of “…just one more picture…” to it, which is bad for me as you really don’t want to know how many hours I’ve lost to Galaxy Zoo. For more commentary on the project, pop over to Adactio where Jeremy Keith has posted some thoughtful insight. 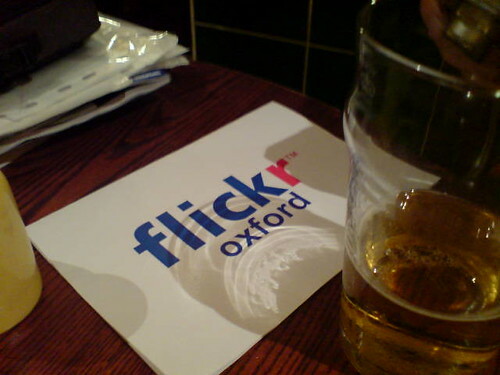 Just a reminder for all the Oxford crowd, we’re having a flickr social meetup tonight. More details in the group thread. Come along, have some beer, meet new people and talk like a pirate (until it gets annoying). Something different today, a public announcement if you will. For some bizarre reason my subscriber count has shot up in the past few weeks, so as a public service to those of you in the Oxfordshire area, there’s a little flickr meet up taking place tonight at the Three Goats Heads in Oxford. We have them semi-regularly, usually every other month. They’re social events, where topics of conversation range wide and free (I suspect Adrian and myself will mainly be discussing episode 20 of Heroes tonight) and you get the chance to share a few beers with fellow flickrites. There’s a thread with more details on the Oxford flickr group, and if you’re an Upcoming user you can register your interest on the event page. Yep, this is my one-thousandth flickr picture! Holy crap! As I saw this milestone approaching I started to agonise about what to take to commemorate the event. After much head-scratching and conferring with friends, I decided a little family portrait was in order. 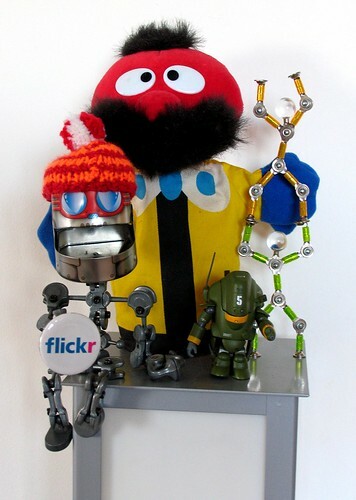 So here we all are, saying a big thanks to Flickr for igniting a photographic spark in me I didn’t know I had.